Philippine archipelago is comprises of hundred islands, divided with high mountains and wide oceans, and dominated by many ethnic groups that have variety of cultural identities. In the southern part, people of the lake known as Meranaos, Maranaos or M’ranaos live with colourful and rich culture. Their old traditions are still preserved by them from their ancestors’ long years ago. Long before the coming of invaders and the establishment of the Philippine government, there was already existing law of these people known as TARITIB and IGMA run by the Sultans and Datus. As time goes on over thousand years, the Meranao culture is still observed. Although some of the practices were changed and discouraged by Islamic faith. In the name of ARTS and LITERATURE, Meranaos exceed on these. They have the Bayok and Darangen that until now are never been break their record in the entire country. The beautiful dances like Singkil, Fan Dance and Kapamalong malong are still have big contribution in Philippine culture. Every single matter of Meranao’s life has its meaning and properly guided with Taritib and Igma. To cite an obvious scenario, women are cared with utmost love. They are preserved in the Lamin where they are never seen by men. The way of courtship, marriages and other are those one of the pride of the Lanao province. Much to take this into consideration as much as cultural competition is concerned, Meranaos performers always on top in national and even international agenda and this is perhaps because their culture is beyond compare. 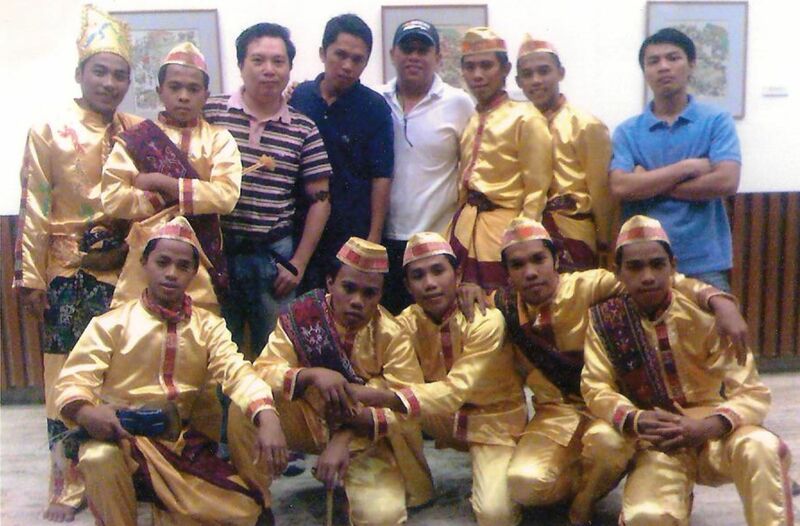 Just recently, the Amanat ko Kalumbayan Ensemble of the Marogong National High School from the Division of Lanao Sur II-A, DepEd-ARMM has brought this pride in the national level as NATIONAL CHAMPION in the traditional ensemble presenting the Meranao Courtship held at the Cultural Complex in the Philippines, Manila. They showcased twenty minutes of performances on dances, drama and music among the four finalists from Ifugao, Ita, Igorot, Maguindanao that made them so applauded with their colourful attire and props. The Landap, Sipa, Kulintang tabak that is full of Meranao dish, and fans are just simple things that contributed to the fantastic performances. This shown the difference and how unique Meranao tradition is. The exciting moment was the presentation when the performers danced gracefully with amusement of the sound of kulintang. Everybody in the hall appreciated the presentation. They made pictures on them even though it is prohibited to take shot inside the theatre. The audience has concluded that Meranao beauty is unique, very elegant and very rare. What made the presentation great was itself not just the exemplary performance. It showed the authentic culture of the old that until this time has been preserved. It was an honor and pride then of knowing this. Myapiya a ginawa ko sabap sa aden a myaka daptar ko ped ko impotante a psabandingan o mga Tao sa Mindanao. Aya patot ko langon o mga Tao sii sa giyangkai a Moro Land na masinanad niyan a giyangkai a matatago sa giyangkai a website, ka an di mapadeng so mga Bangsa ko Moro Land. It's my inspiration and admiration that you have that achievement of recognizing the Tradition and culture of the Maranao not only in MINSUPALA Region but the entire Philippine Archipelago as well.